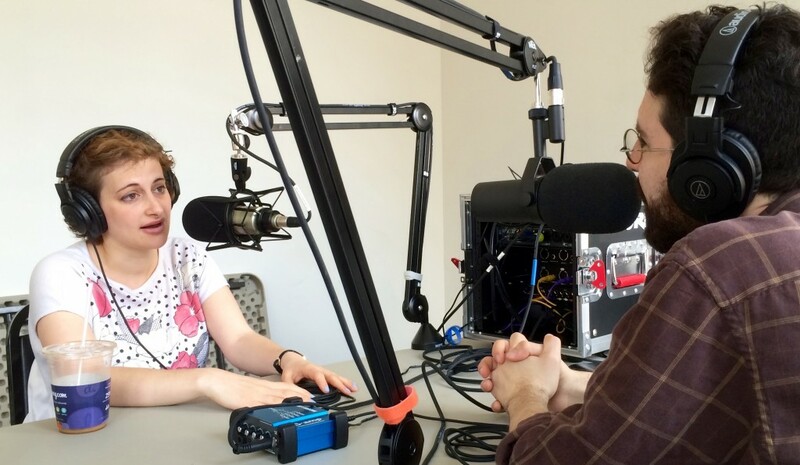 A purveyor of weird in an increasingly codified comedy landscape, Jo Firestone sits down with us to talk about her numerous shows, how she approaches her art, and of course, City Museum in St. Louis. Host Louis Kornfeld kicks off this episode asking Jo whether she creates shows for her resume or because they interest her. As a prolific producer -- she hosts Dr. Gameshow on WFMU, Punderdome 3000, Friends of Single People, and Firestone Success Academy (among many others) -- Jo says you have to do it for yourself. She and Louis discuss how it feels weird to listen to and celebrate your own shows and Louis challenges Jo to create a new show with the suggestion of "farm." Hear about Jo's recent ventures to see art rather than comedy and how seeing bad art encourages you to take risks. Jo pontificates on the question of quantity versus quality and how she considers the audience when creating shows. Plus! Jo tells us the stupidest ideas she has ever gone through with and one of the very best moments from her many shows. Catch her now because she's about to go on tour with a rock band and before you know it, she'll be bigger than hip hop. Subscribe to the Magnet Theater Podcast via iTunes and Stitcher. Or simply enjoy Episode #46 below via SoundCloud.